An Audi Service Plan is the cost effective, intuitive, and convenient means to keep your car in prime condition so it continues to command respect on the road. Simply, for example, pick a plan based on the vehicle’s age, engine size, and whether you want to pay upfront or spread the cost via monthly instalments. Audi is better placed than its rivals to service your car as it designed, built and sold it. Furthermore, its technicians have brand specific training, brand specific tools, and only fit brand specific parts to guarantee the best performance for whatever adventures you have planned. The parts also have a 2 year warranty. If this suits, simple consider the table below, pick your favoured options then visit the manufacturer’s website to purchase online. But what if your vehicle is 3 - 10 years old? If so, the Audi Service Plan that might suit incorporates 1 Oil Service and Inspection. Expect 1 Oil Change Service, too. Note the costs below. The Audi Service Price Match guarantees you get good value for money whatever your car requires. 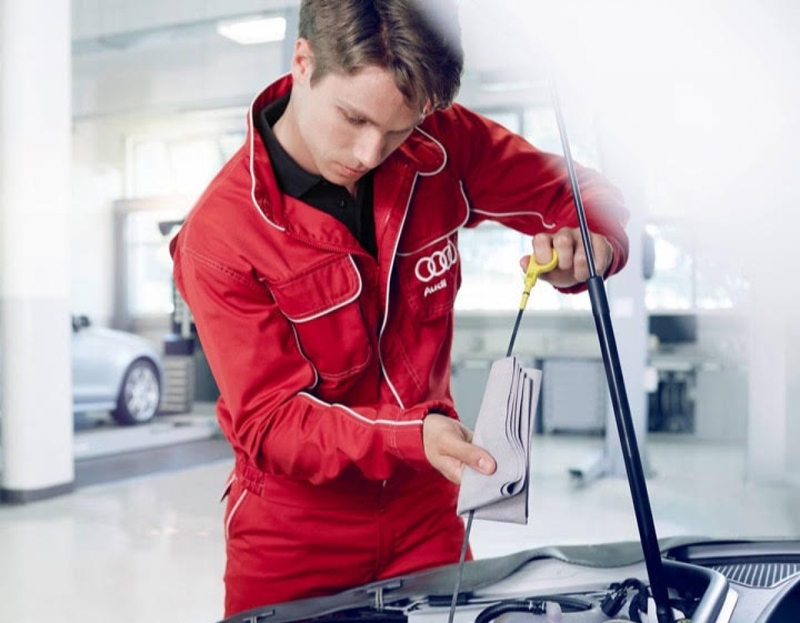 Audi, therefore, matches any like-for-like written quotation for a service, repair, maintenance and/or tyres. Premium care does not have to equate to premium cost.